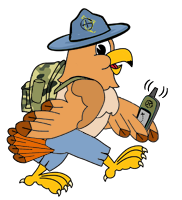 One of the generous prizes donated for our 5th Anniversary Contest is a Cache Crate from one of the longest tenured Geocaching retailers in the world, Cache-Advance. What exactly is a Cache Crate? It could be described as a membership based service where you receive a surprise box full of Geocaching and outdoor gear delivered to your house. Cache-Advance themselves describe it as “just like finding an awesome regular sized cache filled with amazing swag”. A Google search of “cache crate unboxing” shows at least 4 Geocaching Vloggers have made videos of them opening up a Cache Crate. Here we have the June 2015 unboxing by one time OCNA guest blogger The Geocaching Doc. This is the same video shown on the Cache Crate Membership page on Cache-Advance’s website. Do check that out, and consider buying a membership for yourself or a gift membership for someone else. We thank Lisa from Cache-Advance for the donation for our contest. P.S. What happened to The Geocaching Doc on this blog? Oh, about 3 months ago, YouTube forced developers to migrate to the latest version of their API. You might remember in 2014 a similar directive issued by Google Maps threw ours (as well as fellow alternative site Terracaching.com’s) cache maps into a tizzy. Both have since been fixed. The plug in that posted The GCDoc’s latest video on this blog was not compliant. We did hear of a small coding fix, and it worked for about a month, then abruptly stopped working again. We are looking at other plug in options, and are confident we can come up with something.